Tractor maintenance is important to keep your Kubota tractor performing optimally. What is the optimal Kubota tractor maintenance schedule? Since the company made changes to recommended Kubota service intervals a few years ago, some tractor owners are unsure. This post will discuss the reasons for tractor maintenance and share with you a suitable Kubota maintenance schedule for your tractor. Why Is Kubota Tractor Maintenance So Important? A regular tractor maintenance schedule can help to reduce the risk of your tractor breaking down. Checking your tractor regularly can help you to spot leaks of oil, water, transmission fluid, fuel, or coolant from the tractor, allowing you to get the problem causing the leak repaired as quickly as possible. Regular maintenance checks can also identify problems with the brakes, safety switches, accessory blades and belts, reducing the risk of an accident. All tractor owners should keep a tractor maintenance log to record the dates when a tractor has been checked for maintenance issues as well as any observations about the tractor’s handling or performance. 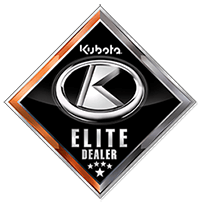 In 2009, Kubota extended the service intervals for many models of Kubota tractors. These updated service intervals let you know when you should change the engine oil, transmission fluid, axle case oil, and oil filters on your Kubota tractor. To find out exactly when you should check or change the various components of your Kubota tractor, check out this helpful table published on the Kubota website. This table gives general advice on maintenance for all Kubota tractors. If you need more detailed information about your particular model of tractor, consult the Operator’s Manual. To view a wide range of Kubota tractor models, check out Bobby Ford Tractor and Equipment’s line of Kubota tractors. The changes that Kubota has made to its service intervals have not changed any aspect of the first service and inspection of your Kubota tractor. The company still recommends that all Kubota tractors have a 50-hour service to check for any problems with the tractor. The 50-hour Kubota maintenance marker is so important because the manufacturing process leaves a lot of new-engine waste that the first set of filters catch. This can shorten the life of those filters because of their heightened use while the new engine finds its equilibrium. To keep your warranty valid, you need to heed the 50-hour Kubota maintenance marker and schedule a check for your tractor at this time. You also need to adhere to a pattern of regular maintenance checks, as laid out in the updated Kubota tractor maintenance schedule. After 50 hours of use, Kubota recommends that you have your first engine oil and filter change, as well as changing the transmission fluid, and cleaning the hydraulic oil filter. After this initial check, you should change the engine oil and filters roughly every 200 hours, while the transmission fluid and hydraulic oil filters need attention only once every 300 hours after the first check. There are some checks that you should carry out every 50 hours throughout the lifetime of the tractor. These include cleaning the radiator screen, checking the coolant level, checking the tire pressure and wear, and checking the safety switches. These checks are essential to ensure the tractor operates safely. Other checks should take place at various intervals, as indicated in this table published by Kubota. To find out more about maintenance schedules for Kubota tractors, as well as to browse models currently available to buy, contact Bobby Ford Tractor and Equipment online today, visit our showroom in Angleton, Texas, or give us a call at 979-849-5400.